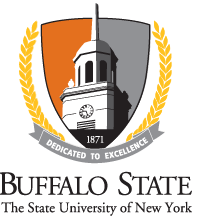 The Buffalo State Forensic Advisory Committee is a group of forensic practitioners and educators who are dedicated to advancing forensic science and to preparing the next generation of students for a career in forensic science. To accomplish these goals, the group will advise Buffalo State faculty on trends in the field of forensics, best-practices in laboratories, and matters that will aid Buffalo State students be prepared for and develop a career in forensic science. The group will also serve as a source of professional development for all its members by sharing ideas, providing technical advice and assistance, and coordinating activities that will further the quality of services and excellence of procedures provided in Western New York forensic laboratories. 1. Personnel from the Erie County Central Police Services Laboratory. 2. Personnel from the Niagara County Sheriff’s Office Forensic Laboratory. 3. Personnel from the Erie County Medical Examiner’s Toxicology Lab.